Starswept is a seductive and wholly satisfying book from start to finish—imaginative, well written, and touching on themes beyond romantic love. Love fantasy? Romance laced with bittersweet longing? Science fiction that glows with the magic of starlight? Mary Fan’s beautifully rendered Starswept delivers on all three counts. On an Earth of the future, Papilio is an elite academy for performing artists, giving the best of the best a chance to succeed for years to come. Students who attract patrons among the Adryil—a technologically advanced but uncreative race on a distant planet—will go on to live as performers, earning enough to repay Papilio’s sky-high tuition and help support their families. Performers who don’t find patrons must work in factories and live forever in debt. Among so many rising stars, middling violist Iris Lei’s chances don’t seem promising. Matters take an even more unsettling turn one night when an Adryil trespasser places an object in her hand, tells her to keep it safe, and flees into the night. Iris knows this puts her in danger, but she cannot forget the chance meeting. Soon, Dámiul Verik’s second appearance in her life will change things forever. The story is narrated in the first person, and Iris’s voice is strong but self-doubting. She is fifteen years old and typical in her uncertainties and longings to fit in, comparing life to a dance where everyone’s invitation but hers contained special notes on how to dance, what to wear, and what to say. Part of the book’s success is achieved on this level, weaving Iris’s classmates—like her supportive friend Milo and a sabotaging competitor named Estelle—into the drama. The story is just as successful on a higher plane. 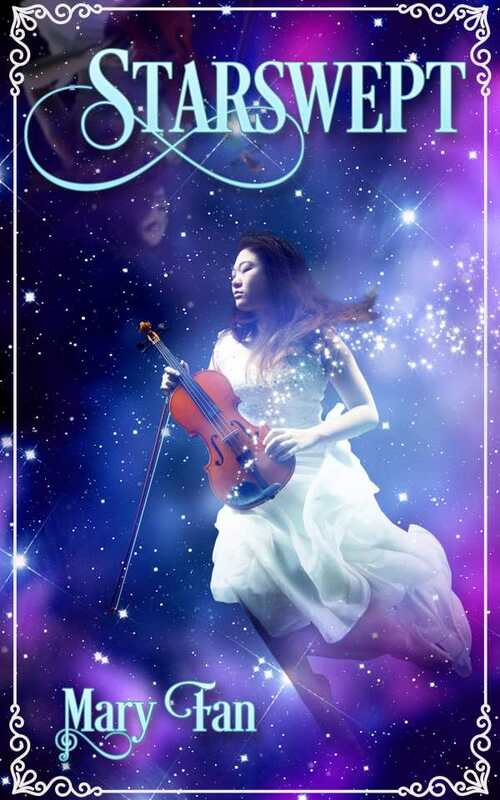 Iris’s overarching passion for music and the flow of talent and ambition surrounding her give the book a lush, ethereal quality that’s perfect for fantasy. References to classical ballet and opera plots echo the book’s themes. Iris is a princess locked in a deceptively beguiling tower while Dámiul—a well-drawn romantic lead—is the prince who awakens her with knowledge. Like Romeo and Juliet, their love is star-crossed. By moving back and forth between these levels, Starswept keeps the plot going while taking the time necessary to do detailed world-building. As Iris grows to trust Dámiul and learns more about him, the pace accelerates and the plot widens to include Dámiul’s home planet, along with some dark truths about its relationship to Earth. The book is a lavishly produced hardcover, printed on high-quality paper and illustrated with matte black-and-white photos of the heavens. The paper-over-board binding is printed in metallic, as is the beautifully illustrated cover.